Owning a boat might seem like a distant dream. We’ve all walked down the side of a marina on holiday, looking longingly at the yachts bobbing up and down; jealously watching the tanned, happy people laughing on board. Well with the help of Boat Share Finder, that dream can become a reality. One of the major issues standing in the way of this dream is something no one likes to discuss…money. 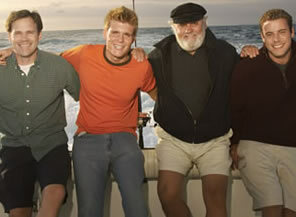 The financial commitment associated with buying and maintaining a boat can be quite daunting. Another concern is time. Having invested all this money in a boat, have you really got the time to fully enjoy and get the most from your new asset? When entering a boat sharing syndicate, the worries and responsibilities that come with owning a boat are immediately diluted. The capital outlay is reduced, as is the cost of mooring, insurance and maintenance. Overall, sharing a boat makes financial sense. Many boat share enthusiasts are previous sole boat owners. They find that with a boat share, they still use the boat the same amount of time they would have done when they were the sole owner of the boat. They tell us that they really make the most of the time they have on board. It’s something to plan for and look forward to, not the effort it can become when you have to organise your time to get to the boat every weekend. Another upside to being part of a syndicate is being able to socialise with people who have a common interest. Often people in a syndicate will become firm friends, and even end up crewing for each other. It’s not unheard of for syndicate members to all go out together on their boat to enjoy a day sharing their hobby. At the end of the day, boats are there to be used. They look better, have fewer mechanical problems and do not deteriorate as quickly when they are in constant use. A used boat is a loved boat. The only time a boat can’t be in use is when it is out of the water in the winter for maintenance. There is also the added advantage that there is less risk of theft or damage when the boat isn’t left empty for extended periods of time. Sharing doesn’t come without its challenges and every syndicate is different. Each will come up with a different set of rules that suit their members. For example, the way the weeks are shared between the members of the syndicate varies from group to group. Some will draw lots at the beginning of the year, to determine who will get which week others will have fixed weeks predetermined when you buy into the syndicate. Many syndicates will have a much more relaxed approach, and will keep a diary so members can request the weeks they would like. We encourage everyone to keep the sharing of weeks as fair as possible, so that one person doesn’t end up with all their weeks during school holidays for instance. As you can see, there is a lot of good that can come from boat sharing, but there is also much to consider. We would encourage anyone considering entering into a boat share agreement to think about it very carefully. Done well, it can bring many years of joy and new friends to share your interests with.